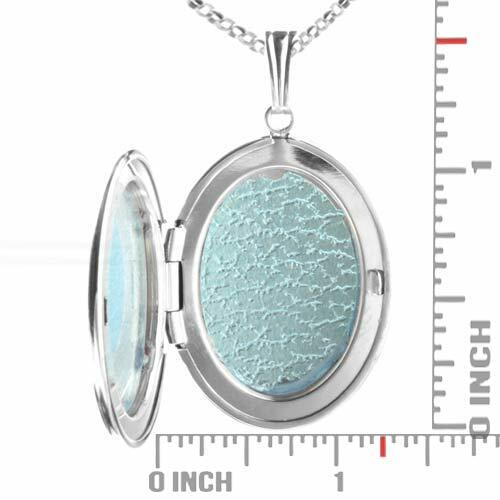 This sterling silver oval styled personalized locket holds two 9/16 x 3/4 inch photos, which are hled securly by plastic inserts. 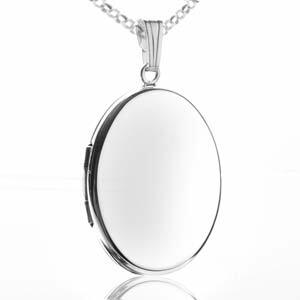 This is one of our best selling lockets for women due to its open engraving space and classically elegant appearance. Made in USA. Available with a 20 inch rolo chain.